Properties in Cunha average 4.8 out of 5 stars. Property 6: Happy view !!!!!!!! Property 12: Charming Chalet, Rustic and Cozy located in the rural area of Cunha. 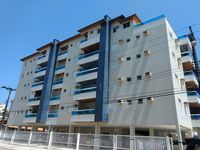 Property 20: Sobrado Itaguá, close to Shopping Itagua Harbor, beach and good restaurants. Property 22: Ubatuba Private Garden. Cozy and complete apartment in the center of Paraty. Property 29: Cozy and complete apartment in the center of Paraty. 2 Pain, Swimming pool, Churr and court poly. Pay for the site in 12x on the card without interest. Property 39: 2 Pain, Swimming pool, Churr and court poly. Pay for the site in 12x on the card without interest. Property 40: Comfortable Coastal Home For Your Vacation Vacation. House at Beira Mar, come and enjoy your leisure in a cozy house! Property 43: House at Beira Mar, come and enjoy your leisure in a cozy house! House on the beach of Prumirim there are only 280 meters from the beach. Property 46: House on the beach of Prumirim there are only 280 meters from the beach. Comfort and charm in Paraty, up to 6 people in a Condominium with Pool. 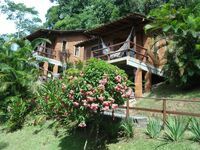 Property 49: Comfort and charm in Paraty, up to 6 people in a Condominium with Pool. Apto com boas instala&ccedil;&otilde;es, &oacute;tima localiza&ccedil;&atilde;o e propriet&aacute;rio muito atencioso! Adoramos nossa estadia. Apartamento bom, perto de &oacute;timos restaurantes, bairro tranquilo e n&atilde;o se ouve barulhos, f&aacute;cil acesso pra outras praias, propriet&aacute;rio e zeladora recept&iacute;veis .